Oversized *anything* is naturally funny. I'm always looking for opportunities to dress up as things related to the parks. I think one of the more memorable parts of Splash Mountain is checking out your photos after the ride. 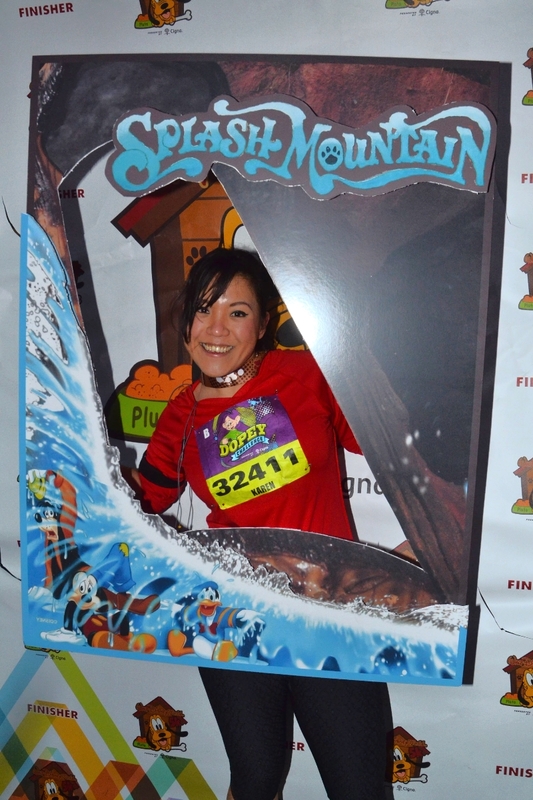 So I thought it would be super funny to dress up as an oversized souvenir photo and have the costume be "interactive" - in that fellow runners can pose with me and "be on the ride" with me. I made the mounted foamcore print order at the on-site FedEx Office in Orlando, and got it shipped to my hotel. One board had the base image, and the other board had the water part and the logo separately. After cutting the water and logo out, I stuck it onto the base with foam spacers in between to give it a subtle 3D diorama look.